It was somewhere between the ages of twelve and thirteen that I discovered the classic pulp heroes of old through paperback reprints. Here were 1930s urban heroes such as the Shadow and Doc Savage while primal, wilderness characters were represented by Robert E.Howard’s Conan the Barbarian. I also discovered one of the greatest pulp authors of all time, Edgar Rice Burroughs. My entry into Burroughs fantastic worlds was through his Tarzan books like most of the readers of my generation. Having already become familiar with the Ape Man via movies, it was both a treat and surprise to discover the actual character in Burrough’s purple prose. Becoming addicted to his work, it was a logical next step to pick up his equally popular John Carter of Mars series starting with “A Princess of Mars.” On the off chance there is someone reading this that has never had that pleasure, here is a quick recap. The series tells of an ex Confederate officer named John Carter, who, while mining for gold in the Arizona badlands, is somehow magically transported through space to the red planet Mars. There he finds it inhabited by all manner of beings and monstrous creatures that refer to their world as Barsoom. Carter has one glorious adventure after another, finds his love, the beautiful princess Theja Thoris, and goes on to become the Warlord of Mars. I devoured those books. I’d never encountered anything else so filled with action, exotic characters and unabashed imagination as displayed in that amazing series. Of course the popularity of Burroughs alien tales inspired hundreds of writers to follow in his footsteps, many attempting to duplicate the verve and grandeur of his Barsoom titles. None ever came close, until now. From the first chapter of J.P. Carlson’s book, “Rex Riders” that same magical what-if that Burroughs so effortlessly created is evident here. Set in the sleepy Texas town of Dos Locus, post Civil War, what Carlson brilliantly does is turn the tables on the Carter device and brings an alien romantic hero to Earth in the form of the Rex Rider. The book’s protagonist is fifteen year old orphan, Zeke Calhoun, who is being raised on his Uncle Jesse McCain’s ranch. His two best friends are Bull, McCain’s loyal ranch hand and Stumpy, the old cantankerous and wise ranch cook. Growing up to be a cowboy is not an easy life and Zeke is constantly butting heads with his uncle, their ability to communicate strained by their ages. Having never married or had children, McCain finds bringing up a rambunctious teenage boy much more complicated than herding cattle. Then one day a live triceratops comes charging down Dos Locos’ main street attacking the arriving stagecoach. After toppling the coach, the confused, armored beast then goes on a rampage and destroys several of the town’s stores before it is shot by McCain. Before anyone can even attempt to explain the creature’s presence, let alone existence, the area’s most powerful landowner, Dante D’Allesandro comes along, offers to pay for the damages and whisks the carcass away. No one gives the incident a second thought. I give much credit to Carlson’s depiction of good, decent and simple people who would react exactly as he writes them. Months later, while riding through a nearby valley, Zeke and Stumpy come across a truly bizarre scene. An alien humanoid lying comatose on the ground, having been shot, and standing over him protectively is a baby Tyrannosaurs Rex with a saddle strapped to its back. With much effort, the two manage to haul the eight foot rider onto the back of his dangerous looking mount and get them back safely to McCain’s ranch. After the town doctor removes half a dozen bullets from the purple hued alien and he recovers, he relates a fantastic tale to McCain and his crew. Slim, the name Stumpy gives the alien rider, is from a planet called Ismalis where millions of years ago his ancestors, using amazing transporters, rescued large numbers of the Earth’s dinosaurs when they saw they were in danger of becoming extinct. Now they thrive on Ismalis and as a Rex Rider, it is Slim’s duty to see they continue to do so. Unfortunately D’Allesandro has learned that it was via one these transporter platforms, hidden in a nearby mountain cave, that the runaway tryke traveled from Ismalis to Earth. D’Allesandro then begins to transport a group of cowboys to that alien world to build a camp from which they can rustle hundreds of trykes and bring them back to our world. When Slim attempts to stop him, warning that his scheme can only end in disaster for all involved, D’Allesandro’s hired gun, Caleb Cooper, attempts to kill him and his T-rex mount, called Hellfire. McCain immediately sees the folly of D’Allesandro’s plan and offers his support to the Rex Rider, along with Zeke, Bull & Stumpy. Together these new allies have to travel to that strange and dangerous world and set things right. 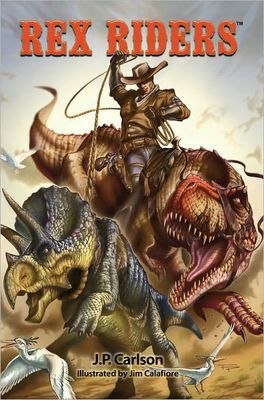 “The Rex Riders” is a deft blend of action, humor and wall-to-wall adventure in a truly original setting. Reading it was nothing short pure joy, easily recapturing the fun I’d had when first discovering the John Carter of Mars books. And if that isn’t a cause for celebration amongst today’s pulp readers, I don’t know what is. In fact, I love this book so much, I’m giving it to my grandson, Alex, assured it will set him on a path I first walked over fifty years ago. Thanks, J.P. Carlson. With your first book, you’ve made a loyal fan that is very, very anxious for the sequels. One of the most widely recognized facts regarding American comic book heroes is that they actually evolved out of the Depression Era pulp magazines. Fans of both media are well aware that the likes of Batman and Superman were the literary children of characters such as the Shadow and Doc Savage. Tommy Hancock employs this historical theory against which to set his first novel, “Yesteryear.” Hancock, the winner of this year’s Pulp Ark Award for Best New Writer, had earned that title based on his short fiction. Now with this novel length drama, he cements that position soundly with a work of deft imagination heralding past days of American glory. J.C.Smithernson is a one time crime fighting boy detective who has grown up to become a writer and publisher. He has put his hero days behind him, though his good friend, Detective Donovan Bradley, suspects he still harbors longings to get back into the fray. Then one day a mysterious package is left on Smitherson’s steps containing the journal of newspaper man, Ramsey Long, who was part of the Golden Age of Heroes back in the 30s and 40s. Thought to be a myth, Ramsey’s musings are said to be a tell-all book that honestly rips aside the veil of public relation mumb-jumbo to detail the true history and exploits of those early mystery men and women. Which is why when it is learned that Smitherson possesses the book, factions both political and private, begin targeting him and his loved ones to guarantee the journal never sees the light of day. For J.C., it is an eye-opening revelation that some of the people he once admired are flawed enough to want to destroy him rather then have their human failings exposed publicly. Still, he is determined that the truth will be told regardless of the consequences. “Yesteryear,” is a marvelous homage to all those great pulp characters and golden age comic heroes who followed in their footsteps wonderfully told with a true sense of time and place. Hancock knows his history and the richness with which he paints the times adds much to the books plot and appeal. So on a purely literary basis, I recommend this book highly, it was tons of fun to read. But I do have one criticism and it deals with the book’s packaging, not the story. I don’t often make mention of actual production values but in this case felt compelled to do so because in the end, it did lessen my overall enjoyment of “Yesteryear.” Hancock is also the book’s producer and he’s filled many of its pages with some truly fantastic drawings of many of the fabulous characters described in the text. All to the good. Alas, that’s where his design musings should have stopped. Instead he also chose to change the fonts and styling of the text throughout the entire book so that the reader is confronted with bold type, cursive scribbles, light, thin fonts constantly changing, many difficult to adjust to after finishing a chapter presented in an entirely different way. I understand the concept he was trying to achieve with this mixing, but it does not work and instead becomes a physical flaw to an otherwise stellar offering. Hopefully his next book will have a more conservative presentation. Horror fantasist, Dean Koontz continues his best selling series about the never ending war between Mary Shelly’s mad scientist Victor Frankenstein and his immortal creation, the Monster; now known in these books as Deucalion. This is the fourth book in the saga and the beginning of a brand new story arc. In the opening trilogy, which took place in New Orleans, the four hundred year old obsessed genius set about creating an army of super clones who would ultimately replace imperfect humans as the new dominant species on Earth. He was foiled by Deucalion and two brave police detectives, Carson O’Connor and Michael Maddison. By the third book’s climax, they believed he had been killed and the world saved. What they were not aware of was Frankenstein had cloned himself and this doppelganger came to life upon the death of the original. “Lost Souls” opens two years later after the first conflict to find Carson and Michael have married, moved to San Francisco, opened a private detective agency and had a child, a beautiful baby girl named Scout. For the most part their lives couldn’t be any happier. This is why Deucalion’s reappearance bodes ill tides. He has learned that his creator is still alive and hiding in the small town of Rainbow Falls, Montana. What the patchwork warrior does not know is that his cloned nemesis is completely insane and unlike his predecessor, has but one goal, the total annihilation of all mankind, both originals and replicants. He dreams of Armageddon. 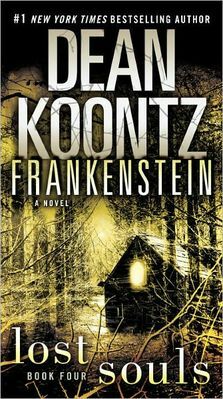 “Frankenstein - Lost Souls” is Koontz’ most audacious pulp novel to date. It is a bold, raucous narrative that moves at lightning pacing. Horror upon horror is visited on the small, peaceful town of Rainbow Falls and Koontz never once spares his readers with his lean and brutal prose. His fans are going to devour this latest chapter in what has become a truly classic pulp series. New readers need not have read the first trilogy, although it would add much to their enjoyment of this entry. And be aware, this is book is only the first part of the story and ends with a suspense laden cliffhanger. Wherein the only real sour note is we now have to wait for several months for part two. Now that’s torture at its most sophisticated. 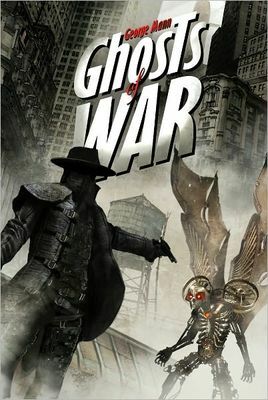 Hot on the heels of earning a Pulp Factory Award nomination for Best Pulp Novel of 2010 for GHOST OF MANHATTAN, writer George Mann unleashes the second novel in this steampunk series. Although considering the archetype pulp trappings these books are totally saturated with, one would suggest labeling them steampulp. 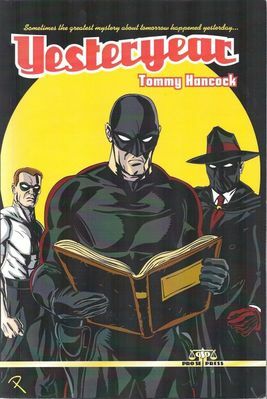 This new adventure of Gabriel Cross, the haunted veteran of World War One who protects New York City as the rocket-boot propelled, black garbed vigilante known as the Ghost, begins only a few weeks after the end of his last, horrific case. He is still emotionally wounded having witnessed his lover, Celeste, sacrifice herself to save mankind from outer-dimensional monsters. When a new threat to his city arises, he gratefully dons his Ghost garb and goes into action. Weird hybrid mechanical flying creatures called Raptors are swooping out of the night sky and randomly kidnapping people with no apparent pattern or purpose other than to cause city wide terror. The Ghost sets about catching one of these horrible monstrosities with the help of his friend, Inspector Felix Donovan, who shares his secret identity. At the same time, Donovan is given the task of hunting down a British spy by his superiors. He is told the secret agent is a catalyst with information that will ignite a war between England and America. When elements from both assignments suddenly come together, the Ghost and Donovan begin to suspect a much darker plot with tendrils leading to corruption among the highest ranks of City Hall. In the end the Ghost allows himself to be captured by the raptors and taken to their hidden lair. It is his one chance to uncover the evil mastermind behind the attacks and discover the true horror that awaits all mankind unless he and his small band of allies can save the day. Hideous creatures from another dimension, a mad scientist more machine than man, an armed, massive airship on a mission of doom and more thrill-a-minute action than any other ten, oversized thrillers on the market today. GHOSTS OF WAR is even better then its predecessor as Mann is truly warming up to this alternate world and his remarkable, colorful and appealing cast of characters that populate it. This is new pulp fiction at its finest and I’m predicting there’s another Pulp Factory Award nod in its future. Long live the Ghost! One of the hallmarks of classic pulp noir fiction is a protagonist over his head in a convoluted life or death dilemma. In “Lake Charles,” Ed Lynskey has invented such a figure in Brendan Fishback. Brendan is out on bail, after being implicated in the drug overdose death of a lovely young lady named Ashleigh Sizemore, daughter of the wealthiest man in Umpire, Tennessee. To help get his mind off his problems, his best friend, Cobb Kuzawa, suggest they go fishing on secluded Lake Charles up in the mountains. At the last minute Brendan’s twin sister, and Cobb’s ex-wife, Edna, decides to tag along. She harbors some hope she and Cobb can reconcile. Friction between Edna and Cobb threatens to ruin the trip. Then Edna mysteriously disappears without a trace, after having zipped across to the other side of the lake on her jet-ski. Frantic to find her, Brendan and Cobb begin combing the lake on their small one man bass boats. When that proves fruitless, they begin searching the lake’s perimeter on foot. Things get decidedly worst when they are attacked by gunmen who are growing marijuana in the surrounding backwoods fields and glens. They fight back; killing one of their assailants in the process and their untenable situation continues to escalate, pulling them along to even deadlier encounters. Lynskey’s stacks his deck with brutal characters, both good and bad, each trying to escape a lackluster existence. Brendan is a rudderless soul, cast adrift when his father, Angus, deserted the family and wandered up to Valdez, Alaska to work on the oil pipeline. His own job at the local printing press is a boring, dead end and he dreams of following his father’s trail to a better place until his drinking and pot smoking put him in the extreme wrong place at the wrong time. Ultimately he comes to suspect Edna has been kidnapped by the men growing the illegal weed and his only hope of saving her lies with Cobb’s eccentric, Korean vet father, Mr.Kuzawa. Mr.Kuzawa is a John Wayne take-no-prisoners type and the second he enters the story, the action and suspense rev up to maximum overdrive. As Brendan and his gun-toting mentor crisscross the rural Tennessee landscape, bodies start dropping. What surprises the confused lad is in the midst of their violent Odyssey, clues are uncovered that connect Ashleigh’s death with the mysterious crime kingpin controlling the county’s drug trade. Are Brendan and his sister only pawns in a much bigger game? And if so, we’ll he survive long enough to find Edna and uncover the truth? Or will he fail and become another unexplained mystery surrounding the foul waters of Lake Charles? 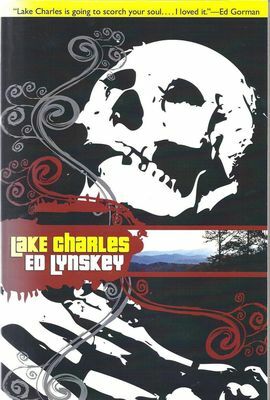 “Lake Charles” is a gripping, crime thriller that portrays a world of tough, desperate people and creates a suspenseful mystery that will have you guessing to the final page. The genius of the book is that its messy image of the world is a whole lot closer to reality than most of us would care to admit. Brendan Fisback is someone we’ve all met before, maybe when looking in the mirror.